"THEME: The scope and purpose of the book are indicated in the first verse. Matthew is the "book of the generation of Jesus Christ, the Son of David; the Son of Abraham" (MATT 1:1). This connects him at once with two of the most important of the Old Testament Covenants: the Davidic Covenant of kingship (2 SAM 7:8-16), and the Abrahamic Covenant of promise (GEN 15:18). "Of Jesus Christ in that twofold character, then, Matthew writes. Following the order indicated in the first verse, he writes first of the King, the son of David; then of the Son of Abraham, obedient unto death, according to the Isaac type GEN 22:1-18; HEB 11:17-19. "But the prominent character of Christ in Matthew is that of the covenanted King, David's "righteous Branch" JERE 23:5; 33:15. Matthew records His genealogy; His birth in Bethlehem the city of David, according to MICAH 5:2, the ministry of His forerunner according to MAL 3:1. His rejection by Israel; and His predictions of His second coming in power and great glory. "Only then (Matthew chapters 26-28) does Matthew turn to the earlier covenant, and record the sacrificial death of the son of Abraham. 1) The manifestation to Israel and rejection of Jesus Christ the Son of David, born King of the Jews, 1:1-25:46. 6. The promise of the King to return in power and great glory, 24:1-25:46. 2) The sacrifice and resurrection of Jesus Christ, the Son of Abraham, 26:1-28:8. 3) The risen Lord in ministry to His own, 28:9-20. The events recorded in Matthew cover a period of 38 years (Ussher)." So with this overview in mind let us proceed and examine the doctrinal issue of the Kingdom "at hand," (3:1-12:50) beginning with the third chapter of this glorious Gospel account of the KING of ISRAEL! The KINGDOM is near because the KING Himself has come! The Mashiach Nagid, the Messiah King, He Who is Ruler in Israel, Jesus of Nazareth, the Son of David! The nation has only but to acknowledge their King and submit themselves to Him for all things to transpire in accordance to God’s will. Israel was expecting the Messiah to come at that time . . . however, they believed He was coming as a conquering King, a LORD of battle to free them from their enemies (contemporaneously, the Roman Empire) according to the Scriptures. It was a valid claim on the part of Israel’s leaders, however, they neglected the other Scriptures that spoke of the Suffering Servant and relegated them to ‘another Messiah’ Mashiach ben Yosef rather than the conquering King, Mashiach ben Dawid. We understand that there aren’t two Messiahs but rather One that comes to Israel twice. This wasn’t something immediately clear in the Old Testament Scriptures that speak of both warrior King Who was joyously received and Suffering servant Who was despised and rejected of men, but in hind sight, we see this clearly in such passages as . . . Note what He says here: “This day is this scripture fulfilled in your ears” which strongly suggests that from half way through the 2nd verse in ISAIAH 61 and on, will be fulfilled at a later time, but not then. Of course we all recollect the time when Jesus rode into Jerusalem on the colt while the crowds cheered and proclaimed, “Hosanna in the Highest” two thousand years ago. Verse 9 then was fulfilled, but not verse 10 and onward. Only one verse away from vs. 9, and yet more than two thousand years separates this first aspect in prophecy from the second. From the time that the Messiah was revealed, to the time He will come to “rule over the house of Jacob” (LUKE 1:33), there is that time spoken of regarding rejection and suffering (PSALM 22, ISAIAH 53) . . .
For more on this consider ACTS 7:1-60 and the declaration of Stephen; in this chapter Stephen points out the fact that Joseph (a biblical type* of Christ) was initially rejected by his brothers, but later this young man who had endured such rejection and subsequent suffering was exalted, second only to Pharaoh of Egypt. When his brothers came to Egypt, their brother was revealed, and accepted by them, and just as Joseph foreknew (by the Spirit of God) they bowed down before him. Thus, Stephen was attempting to say that just as Israel had only recently rejected their King, they would one day, bow down and receive the Messiah, Jesus of Nazareth. It was this assertion that the Sanhedrin vehemently rejected which led to the martyrdom of this young man whose faith in Christ was unshakeable! John preached repentance, and turned the hearts of many to the LORD and to one another, just as was prophesied of him (LUKE 1:17; 1 KINGS 21:20); he prepared the hearts of the people to meet their Messiah and once He arrived on the scene, John rightly said, “He must increase, I must decrease” (JOHN 3:30). Roads in those ancient days could easily fall into disrepair and so regular maintenance would be necessary (until the Romans built a system with the technology of their day that made for resilient roads, some of which are still in use today!). Especially if a dignitary such as a general or a king would be soon arriving. The coming Messiah would likewise have the way prepared for Him by the ministry of John the Baptist (ISAIAH 40:3). But these people had no such smooth roads to walk in order to get to the Jordan River from all parts of the nation of Israel, but still they came, hungry for a word from the LORD – after a period of silence from any prophet of God for about four hundred years! Incidentally, John the Baptist was declared the greatest among all the prophets by no one other than the Messiah Himself, the very Inspirer of the prophets of Israel, the very Word that they proclaimed to the children of Abraham, Isaac and Jacob and for very particular reasons. We covered this in an article FROM the MIND of FIRE. The message the Baptist gave was one of repentance and it so closely matched the message of the Messiah, that the identity of these two men were sometimes confused by the people of Israel, the one for the other (they were cousins after all and probably bore some resemblance to each other). The call to repentance is hardly heard these days among the churches across America; the ‘easy believism’ of merely saying words in a sinner’s prayer seems to be the basis for determining who and what a Christian is. Yet without acknowledging our sinful state, that we are by nature “children of wrath” (EPH 2:3; 5:6), and that we must turn away from such a sinful existence and turn to the LORD with a full heart of surrender and receive by faith the Person of Christ Jesus our LORD and SAVIOR, producing the fruit of repentance and of salvation, what assurance can there possibly be of a true conversion? Even so, in today’s popular churches (if even a call to salvation via Christ Jesus and His atoning work on the Cross is made) a simple prayer is said, and at its conclusion the announcement that those who said such a prayer are actually saved is made! 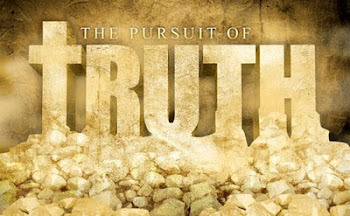 1) The reception of new knowledge – the Gospel and the truth it reveals. 2) Regret for the previous course, displeasure at such with self – conviction of sin. 3) A change of action – following the LORD of Righteousness, not after our own way of sin. John baptized those who heard and received his message, hearing this new knowledge: that “the kingdom of heaven is at hand”. Those who were convicted of their sins against God repented and then decided to turn and follow the LORD. I don’t believe John was very polite in his tone of voice or demeanor when confronting the corrupt religious establishment that came out to see him; they were obligated by the Law to investigate any prophets that claimed to speak for God and protect the people from false prophets. A rather ironic situation really when one considers who the ‘bad guys’ really were and the fact that John the Baptist, a true prophet, the greatest prophet was sent to lambaste these false shepherds that cared more for themselves and their positions of power than for care of God’s sheep (a parallel situation can be found in EZEKIEL’s 34th Chapter). The context of this chapter speaks of the sheepfold that was delivered into captivity and later brought back into their own land (vs. 13); nevertheless the principle holds true generations later when the people were in fact in the land, and the leaders in the Sanhedrin revealed the same kind of heart as these false shepherds! These leaders were smugly confident that they were in good standing with the LORD based solely on their lineage to Abraham (and adherence to the Law which was given by God to reveal sin, not establish righteousness; see ROM 10:2-4), but as Paul the apostle later stated, not all are Israel who are of Israel (ROM 9:5-8) – that is, even though they may have a physical lineage to Abraham the Patriarch, it was the spiritual faith of Abraham and those who had “like faith as Abraham” that were in fact in good standing with the LORD. John goes so far as to call these religious leaders a “generation of vipers”! Serpents in the OT Scriptures are a representation for sin based on (GEN 3) and was demonstrated when the children of Israel murmured and complained in the wilderness and as a chastening, the LORD sent fiery (poisonous) serpents in their midst (NUM 21:5-9); the remedy was for Moses to construct a brass serpent that any who looked upon were healed! Later on the LORD Jesus relates His ministry of atonement with this very incident involving Moses and the children of Israel (JOHN 3:14). This allegation of being called a generation of vipers rather than a faithful generation was not lost on the Pharisees and Sadducees! The Baptist asked them who warned them to “flee from the wrath to come?” Certainly such wrath will come upon all unrepentant sinners, upon the self-righteous religious sort, upon each and every one who refuses to receive Jesus Christ and His Gospel (2 THESS1:7-9). To summarize John the Baptists rebuke – without good fruit of repentance, the tree along with the root will be cut down and cast into the fire. This message needs to be declared in our modern day churches! Baptism was not unheard of in Israel as under the Law, the High Priest would be cleansed first by water then by sacrifice before officiating in his ministry (EXOD 29:4-7); baptism is a method of identification with the LORD (and with the people as well, for the priests in their work of mediation), it is an act of repentance from sin for those who acknowledge their offences before the Holy God. This was the ministry of John the Baptist, in calling people to repentance; to prepare their hearts to meet with their LORD, the God of Abraham, Isaac and Jacob Who was soon to be revealed as the WORD made flesh. John addressed the people in saying that He for Whom the Baptist was not even worthy to be a menial servant of, would arrive afterward and baptize them with the Holy Spirit and with fire. This was promised by the LORD and spoken of by John the apostle (JOHN 7:37-39) and was realized after the resurrection of the LORD (JOHN 20:19-22). There are some that equate the Holy Spirit with this “fire” that John the Baptist spoke of; others see a distinction between them, identifying those who are saved being baptized with the Holy Spirit and those who are damned being baptized with fire (as in Gehenna). The latter view seems to have some substantiation based on the next verse in our text (vs. 12, which may be associated with the preceding verse: 7) regarding the “burn[ing] up the chaff with unquenchable fire”; the former view also has some credence based on ACTS 2:4 where those so baptized had cloven tongues of fire come upon them (also DEUT 4:24; HEB 12:29 states that God is a consuming fire; fire being the means of both purification and destruction depending on that which is subject to it, i.e., saints who are purified, sinners that are ruined. Also the works of the believers, whether they are of God or not; 1 COR 3:12-15). 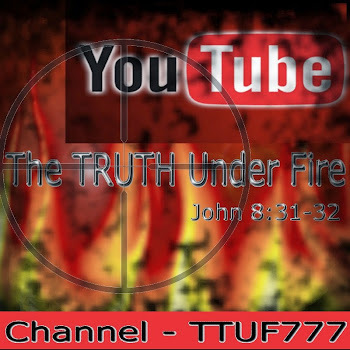 I can see how both views may be correct; that the saints are indeed baptized with the Holy Spirit whose fire brings a purity in the life of the believer, but that this holy fire is also the means of judgment upon the lost for having rejected the LORD and His salvation and are thus ruined. Teaching in Scripture that deals with baptism shows clearly that this “baptism unto repentance” that first began with John the Baptist and later continued on by Christ (whose disciples did the actual baptizing) is representative of the repentant sinner being buried (identified) with Christ, and being dead to sin, is then raised to new life just as Christ Himself was resurrected from the dead. It is a proclamation and a witness of spiritual reality that has transpired in the heart of a newly born saint who has been ushered into the kingdom of God (JOHN 3:3,5; 1 PET 1:23) as a new creature in Christ (2 COR 5:16-18; GAL 6:14-16). Also Baptism and MARK 16:16. (Note: TTUF does not necessarily agree with everything stated in these articles, particularly where a defense is made regarding “most ancient manuscripts” and the assumption that ‘oldest is best’; the issue of water baptism on a Scriptural basis in denial of the false doctrine of baptismal regeneration is the focus and reason for sharing these articles). Since John was officiating over this baptism unto repentance, one must ask why the LORD Jesus came and submitted Himself to this deed since He is in truth, the spotless Lamb of God without any blemish of sin (1 PET 1:18-20; 2 COR 5:21; HEB 4:14-15). The LORD’s answer to John’s protest was that they must “fulfill all righteousness”. 1) As previously mentioned, the commencement of an office under Old Testament Law often involved baptism such as the High Priest. The LORD Jesus Christ is of course a High Priest after the order of Melchizedek; He is also the Prophet of God that Moses alluded to (DEUT 18:15); likewise He is the great King of Israel. All three offices were also anointed with oil to inaugurate their respective ministries. 2) This action on the LORD’s part can be attributable to the revelation given to John the Baptist, that he would see the Holy Spirit descend upon He Who is the Son of God (JOHN 1:29-34), thus the ratification by the Spirit that attests to Jesus being the Messiah, anointed by the Spirit of the LORD as mentioned already in the text of ISAIAH 61 (and we will elaborate on this in Ch. 4 of Matthew’s Gospel). 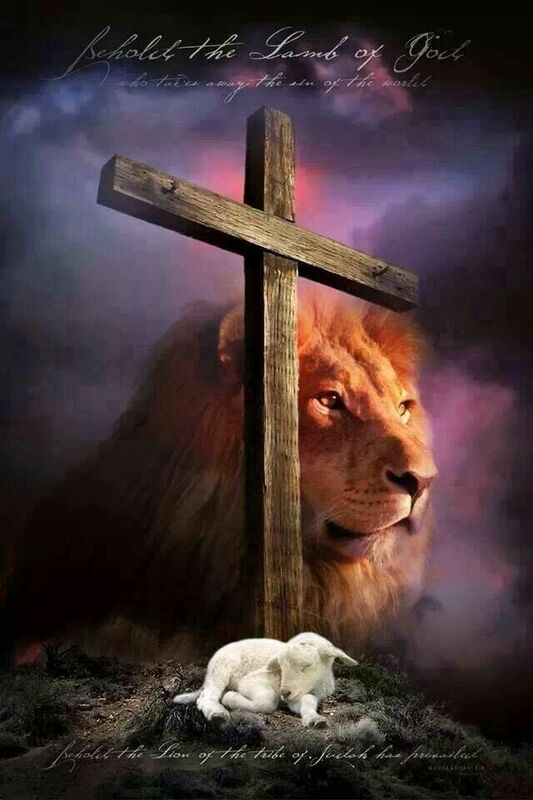 3) Being baptized along side those of Israel who were repenting of their sins, He could be identifying and relating to them as the sacrificial Lamb of God (ISAIAH 53:12; 2 COR 5:21) who would bear their sins. 4) In a prophetic sense, He was looking forward to His own death and resurrection and the “baptism” of His own sufferings (MATT 20:22). John the Baptist testified that he didn’t know who the Messiah was until God told him the sign that would indicate Him, and it was at that point that the Baptist realized that the Messiah was none other than his very own cousin, Jesus of Nazareth, the son of Mary and also the Son of God! As has been pointed out by countless of Bible commentators, the text before us displays the Trinity of God – the text doesn’t prove the doctrine of the Trinity, it simply shows the Godhead. The LORD Jesus having been baptized, is seen with the Spirit descending and resting upon Him, while the voice of the Father is heard from heaven which was opened to Jesus as has never been opened before or since – such access that the Son has with the Father knows no equal – except where those of us who are born again in Christ, walking in the Spirit and in obedience are concerned: we share this access to our heavenly Father! Astounding, is it not? The vicarious nature of Christ Jesus is two fold: for He stands in the place of God on our behalf and we may know the Father by knowing the Son; He is approachable, and touchable, and compassionate as One who knows by His own experience our frailty and weakness in these frames of dust (HEB 4:15). He is well able to minister to us, and we are able by the Spirit to interact with Him. Also He stands in the place of humanity on behalf of the LORD God Who sees those who have received Jesus Christ as LORD and Savior as those in whom “He [is also] well pleased” and undefiled with “garments clean and white” (REV 19:7-9). We see then the absolute perfection in the priesthood of the LORD Jesus Christ – not after the order of Aaron under the Levitical priesthood, but after Melchizedek (GEN 14:18; PSALM 110:4; HEB 5:6,10; 6:20; 7:1,10-11,15,17,21). From this point, now that the Messiah has been baptized into His holy offices, He is ready to commence His ministry - - almost. There is yet the beginning of Chapter Four to deal with and a show down that caused the watching universe to hold it's breath!